In a month’s time we’re sending two Raspberry Pis to the International Space Station as part of two Astro Pi flight units. We’ve all been beavering away for the last 12 months in preparation, and the launch date is almost upon us. Tim Peake is currently doing his final press conference in the UK before he embarks on his six-month mission, during which he will be operating the Astro Pi devices and running the experiments and applications designed and coded by children in primary and secondary schools. 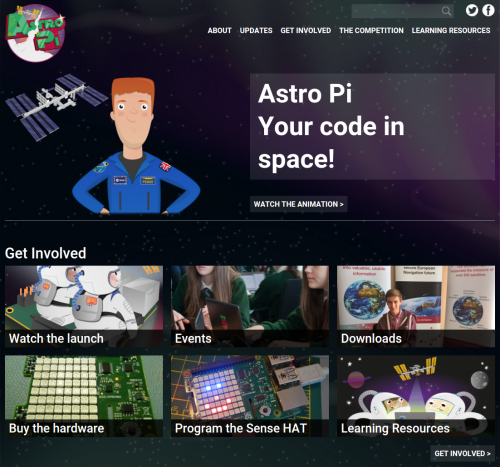 We’ve just relaunched the Astro Pi website which now contains not only information about the competition we ran this year, but also a whole host of information surrounding the whole mission, including a storyline of project updates, events and other ways to get involved, downloads, and a growing number of resources in Scratch and Python for learning about space and experimenting with the Sense HAT. There are plenty of exercises for use in the classroom, at home or with your Code Club or CoderDojo! Check out the winning entries page – you can download the code for each project on GitHub, and run the code on your own Sense HAT. Some of the projects will be collecting data while running in space, and when we have the data from ESA we’ll make it available to download from the website so you can compare the data to your own. I know, super cool. 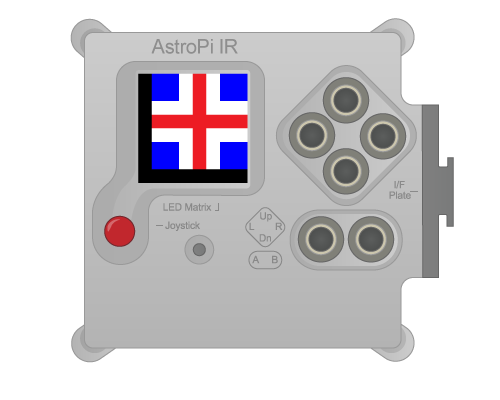 The Astro Pi units are made up of a Raspberry Pi B+, a Sense HAT, a camera module each (one normal and one infra-red), and a space-grade aluminium flight case (not for sale, unfortunately). You can read about the Astro Pi hardware and buy everything you need to build your own Astro Pi. Some people have 3D-printed their own Astro Pi cases, or even made them out of Lego! Once you have your Pi and Sense HAT set up, you can follow the programming guides, go through the resources and come up with your own ideas. What would you do if you had the chance to run your code in space? Thanks to Sam, Dave and Laura for their help in putting the website together, and to Carrie Anne, Marc and James for contributing the brilliant resources. When I eventually obtain a time machine I will take it back to 1985 so that I can pick up my eight year old self, transport him forwards to 2015 so he can write code for a Raspberry Pi in space because he would think that is quite possibly the most amazing thing in the world. Being eight in 1985, he already appreciates that if you put your mind to it, you can accomplish anything. If the time machine is also a DeLorean, that would be a bonus. I keep seeing myself ( just out of the corner of my eye ) trying to avoid myself but still watching what i do, I can only assume I “did it” or you an buy something amazing in the future. Wish i had more to say, but I don’t. Just to add, in the eighties I too was inspired by everything space, electronic and computer. Back then I was part of what you might call a fringe interest group. Perhaps 1 in 10 were into that kind of thing. This is no longer the case. Projects like this, changing society, new devices like the Radpberry Pi and others it has inspired… It IS having an effect. A big one! We are quietly, steadily suceeding in our mission to reinspire our children! Here’s to this and more like it.